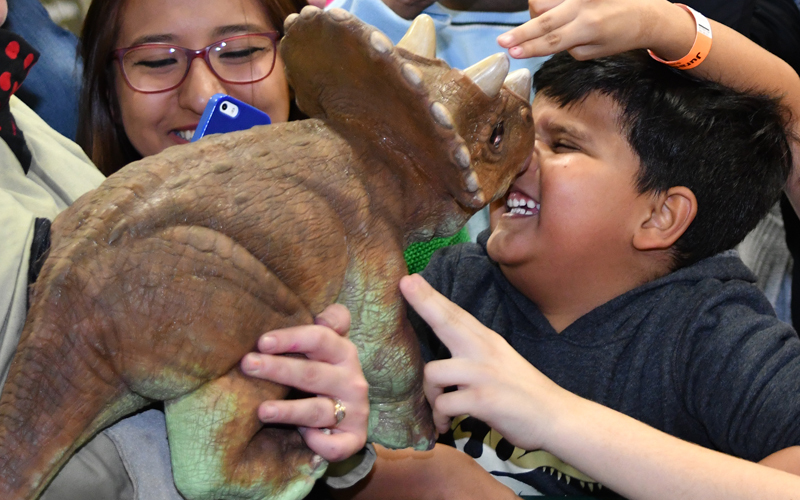 Meet our baby Triceratops, Camarasaurus and more! Amazing life-like little animals are a Jurassic Quest exclusive and a fan favorite for sure. Jurassic Quest has the only Dinosaurs babies in North America. This is your chance to interact with these cuddle, playful little animals. We have several species of dinosaurs. Babies need their rest but need to play too. Our trainers bring them out several times a day for about 30 minutes each time. You can view their schedule at the event or click the baby dinosaur feature from the home page.